Energy Companies Obligation (ECO) – What does it mean for me? ECO, not to be confused with the prefix relating to all things ecological and/or environmental, was introduced in January 2013 to reduce the UK’s energy consumption and carbon emissions. It did this by funding energy efficiency improvements worth around £1.3 billion per year up until March 2015, supporting the installation of energy efficiency measures in low-income households and areas, and in properties that are harder to treat. It worked as a standalone or alongside the Green Deal. This provides insulation measures to households in specified areas of low income. ECO is funded by the energy suppliers, including the so called “big six”. Energy suppliers obligated under the scheme will determine how much subsidy they provide to each consumer. This may depend on consumers’ individual circumstances and the amount of Green Deal finance being used. The first tranche of ECO was worth around £1.3 billion every year, split as follows: HHCRO £350 million per year, CSCO £190 million per year to low-income households, and CERO £760 million per year. Up until September 2013 the emphasis was on HHCRO and numerous families took advantage of the offer of a completely free new boiler using HHCRO funding. However, funding then became available for NON benefits related ECO strands such as CERO for external wall insulation (EWI). Houses with solid walls have always been treatable with external wall insulation but hitherto this has been largely cost-prohibitive for the majority of householders. Using CERO funding a householder may have needed to find only about say 50% of the cost and could have used a green deal plan and the cash back scheme to finance the rest. CERO funding was based on the carbon emissions that would be saved by introducing the measure, whatever that may be. EWI will normally produce the greatest savings and is therefore the most appropriate measure. 2. Use the EPC Advisor tool to show the achievable carbon savings from each recommended measure in kg per annum. 3. Approach a Green Deal Provider for advice on funding based on this figure. 4. Balance this against an installation quotation from a Green Deal installer. 5. If CERO funding does not 100% cover this cost and the rest cannot be funded by cash up-front, get a Green Deal Advisory Report ( GDAR ) to find out if it can be provided through a Green Deal Plan. Many people would like funding for solid wall insulation but they don't realise that a typical installation cost might well be £10,000 + and unsurprisingly the funding available will only meet a fraction of that cost. 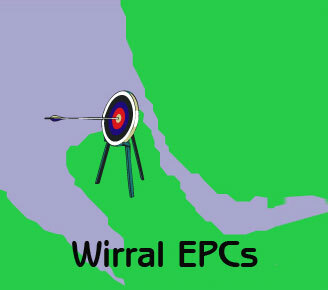 However, Wirral EPCs has access to funding for CSCO and HHCRO as there are a number of areas in Wirral that are classified as CSC0. Please phone or e-mail for details. · If you are on benefits as an owner occupier ( or if as a landlord your tenant is on benefits ) and your boiler is more than 10 years old you can have a new boiler completely funded by ECO2.